In light of the Passover and Easter holidays upon us, I’ve been pondering Judeo-Christianity a lot this week. Specifically, I’ve been thinking about Jesus’ words about peace and reconciliation, things he talked a whole lot about, while he was silent or had little to say on the heated issues that so often people associate with Church or religion. He said things like “Blessed are the peace makers” and raised the bar on love by saying, “What good is it if you love only those who love you? Instead, love your enemies. Do good to those who hurt you.” He talked about creating Heaven on Earth, not just trudging through this life in order to reach some celestial afterlife. He believed we could experience some of that good stuff right here, right now. And everywhere I’ve looked this week, I’ve encountered these sweet drops of Heaven that I think Jesus was trying to tell us was possible to experience on this side of the planet in our human bodies. On Sunday, I encountered it through Free Hugs at the Farmer’s Market. The next night, I experienced it when someone I never met before not only helped me find my friend’s dog that I lost (I know. Some friend, right? ), but gave me a hug afterwards and offered to make me tea, willingly going out of his way at 11 PM on a weeknight for a dog-watcher he didn’t even know. But I think the example that speaks the most to me of all this love and peace and doing-good-in-the-face-of-bad stuff is what’s going on in the Baltimore bike community right now. Last Saturday evening, a cyclist was attacked by a group of youth while riding home along Guilford Avenue. This cyclist bikes with a video camera attached to his helmet everytime he rides in light of a friend who was a victim of a hit and run. Since then, he bought a video camera and regularly records his commutes, unaware, I would imagine, of just how handy this would come this past Saturday when a group of young kids attacked him, punched him, and tried to steal his bike. He caught this 1:20 clip of the event before his camera shut off after the camera battery disconnected. It’s hard to watch, and even more personal knowing it occurred on an intersection used by so many bike commuters, my friends and I included. Attacks have occurred previously in this area, though at random. The cycling community is one in which finding a friend, an ally, someone to connect with is never hard to find. In fact, most of the time when I bike throughout the city, I regularly make some form of human acknowledgement with other cyclists I see. A head nod, a wave, a hello, a “Hey, isn’t this a great day for a ride?” while we’re stuck at a red a light. Oh, and my favorite, the guy who gave me a peace sign as he rode by on a fixie. So news travels fast in our little-but-ever-growing cycling community and it wasn’t long before we were dialoguing with each other in person and on social media about the event. I was amazed at the discourse because it seems as though all of the advocates get the fact that if kids just had more community inclusion and opportunities for recreation and play, they wouldn’t be out here committing crimes like this. Crime not being the problem, but the output of what happens when opportunity and meaningful activity cease to exist in an area. So instead of creating an us-vs them blaming mentality, activists decided to booth volunteers in the area in which the attacks occurred to “Bake some cookies and sell them! Make balloon animals for kids! Have a dance party! Whatever – the point is to be out on the street, watching for potential trouble, and nipping it in the bud before it happens!” (source: BikeMore google group). It’s ok to get angry about crime, in fact, humans harming other humans should arouse that emotion inside of us as a protective instinct to look out for one another. But what’s more beautiful to me- and to the other activists I know, is to turn something tragic into a reason to bring the whole city together to dance in neighborly love. That’s beauty. That’s Baltimore. That’s why I now almost come to expect activists to show up when injustice happens because everywhere I go around this city, I meet people whose hearts and voices refuse to be quelled in the midst of violence or oppression. I think that’s what the Prophet Isaiah meant when he said, “They will beat their swords into plowshares and their spears into pruning hooks. Nation will not take up sword against nation, and they will study war no more” (Isaiah 2:4). Except instead of swords, we have present day street violence. And instead of plowshares, we have creativity. Creativity to create bake sales, balloon animals, dance parties, hula hoop contests, and community interaction in place of violence. This is what I love about the biking community. This is what I love about Baltimore. 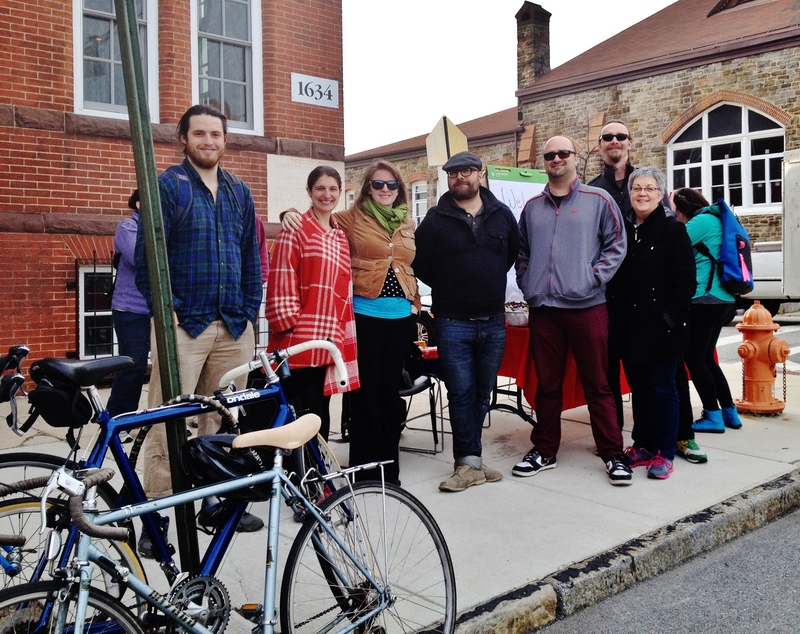 This is why I doubly love the Baltimore biking community. While the media shouts of violence and drugs, we are out here, out here in these open spaces linking arms and bike locks singing of something else possible. While the cynics are out there saying “the city would be great if it weren’t for these hoodlums” (unfortunately, those are actual words I read on Facebook about this particular incident), we are out there finding these kids so that we can introduce them to you by name and not by label. We will learn their stories and they will learn ours and together we’ll ride our bikes at Bike Party or maybe down the street to the nearest bike collective. Or maybe I’ll teach them how to change a flat and they can show me how to pop a wheelie. Because we can all learn from each other, no matter our age or background. The Cyclist and Pedestrian Appreciation event today indeed reminded me that it was Good Friday, that violence, much like Jesus’ death, doesn’t have the last word, and that faith, hope, and love are not just quotidian metaphors, rather, they are tangible exchanges we can choose to give every moment, every day. And my stomach is too, thanks to the snacks the Greenmount West community brought today. Because like BikeMore said, we can run with this. So next Sunday afternoon April 27th, I’ll be out there with hula hoops and water balloons. Another guy I met today offered to bring his guitar. And another said that while he couldn’t play music, he could bring a bunch of his friends. So come join us Sunday evening April 27 on Guilford and Lanvale, say 4:30. We’ll stack our bikes up next to each other’s and say hello. We’ll learn each other’s names, and faces, stories, and dreams. And then we’ll dance. Because we love this city, we love each other, and are willing to raise hell and create heaven by speaking up out of the silence and stepping into communion. Because that’s there the love is. That’s where the life is. And that’s how community will continue to build, one neighbor, one cyclist, one activist at a time. Recently, I’ve been catching myself reflecting on my actions, attitudes, and behavior with disappointment and disgust. I’m the one who, at 18 years old, vowed never to live my life out of step with my values, who vowed to always live with passion and bring life into the world. Because I knew what it was like to almost lose it after falling asleep at the wheel, totaling my car one July evening shortly after graduating high school. I glanced heavenward in prayer that dark night, my soul in chaotic communion with God, claiming with ardor that I would live it right. Not take a breath for granted. 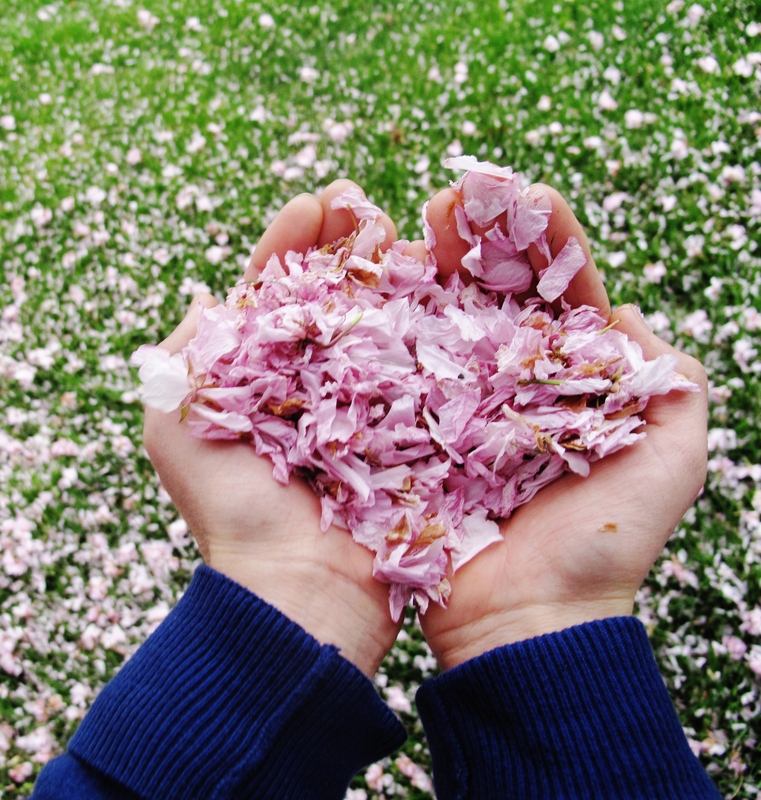 I took my heart by the hand in firm grip. “You’re going to be passionate. Keep your complaints to a minimum. And above all, you’re going to take this life, and love it, and love others,” I declared, releasing my flexed, pointed finger and gritted teeth. I then proceed to cry, turning my fuming fingers into open palms, and slowly rested my tear-drenched face into them, learning a lesson on self-compassion and how absolutely compulsory it is. So when I have days like today, days where I’m so aware of my slights, my transgressions, missed opportunities for sincerely listening to and loving those around me… when I’m acutely attuned to the cloudy mind I’m allowing myself to get sucked into, instead of opening it to the beautiful mess and joy around me, I celebrate one of the greatest strengths that life has to offer: its elasticity. The supple forgiveness it offers to simply begin again. And again. And again and again until the time clock of our individual lifespan wears thin. That whole “it’s never too late to be the person you wish to become” thing. Yes. I celebrate that people forgive. And I also celebrate that in order to truly drink in the forgiveness of others, I must also forgive myself. I must learn— though it’s ok to forget and re-learn over and over again— to return the next day with eyes opened wide, glance looking forward or upward, not down in crestfallen shame. And sure as winter, I will repeat this cycle countless times, but the observing, learning, and practicing piece of forgiveness makes it possible to begin again. we begin again in love. I look out the window at the moon singing to the night sky and snowy hills and valleys below. Tomorrow, every color known to humankind will show up again, somewhere. People who cried yesterday will laugh today. A lonely wander will find solace in the smile of another stranger. 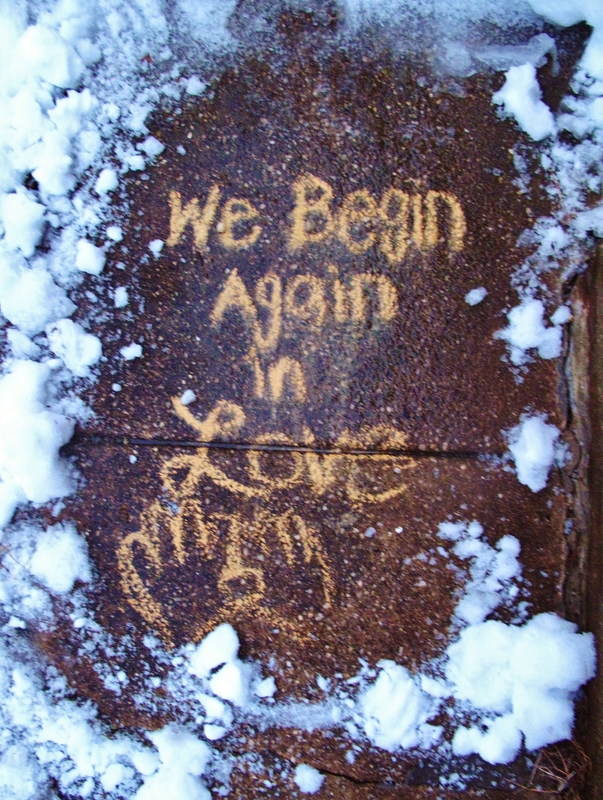 And I, too, will rise anew to begin again in love.